Superstar Salman Khan has turned a year older today. Superstar Salman Khan has turned a year older today. There is no denying the fact that he is one of the most popular stars of the industry . He always manages to lights up the screen with his larger than life persona and whistle worthy dialogues. His fans call him the man with golden heart. He started his career with Rekha starrer Biwi Ho To Aisi and then went on to become the part of many successful films. The actor has many movies in his kitty that set the box office on fire. He has defined masala entertainment in Bollywood. 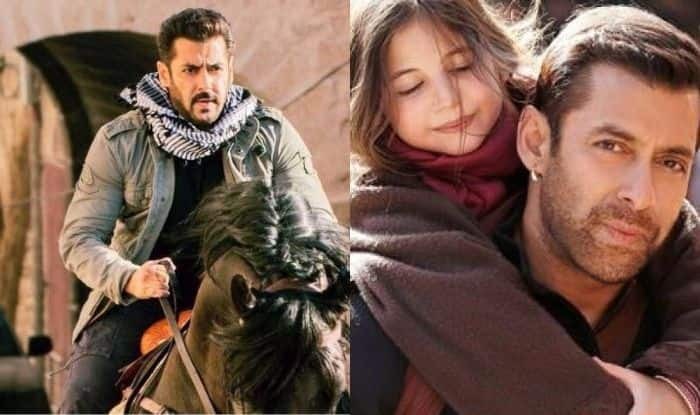 On the Bajrangi Bhaijaan’s birthday, have a look at his top grossing films. The movie featured actress Katrina Kaif with the actor. It was the sequel to Ek The Tiger. Ali Abbas Zafar’s directorial venture was a typical masala entertainer. Salman’s dialogues heard the loudest cheers. The total collection of the movie was Rs 339.16 crore. This is considered as one of the best films of Salman’s career. He shared the screen space with Kareena Kapoor Khan and Harshaali Malhotra. The actor played the role of a man who took the task of reuniting a six-year-old Pakistani girl to her parents. The film collected Rs 320.34 crore. He played the role of a wrestler in the film and shared the screen space with Anushka Sharma. Both the stars worked hard to get into the skin of their characters. Salman and Anushka received praises for their performances and the film collected Rs 300.45 crore. This is known to all that Salman enjoys a huge fan following. The box office success of this film was one such example of his fandom. Despite receiving mixed reviews, Kick minted Rs 233 crore . The film was directed by Sooraj Barjatya and produced by Rajshri Productions. It featured Sonam Kapoor opposite Salman. Prem Ratan Dhan Payo didn’t open to great reviews. However, it earned Rs 207.40 crore.